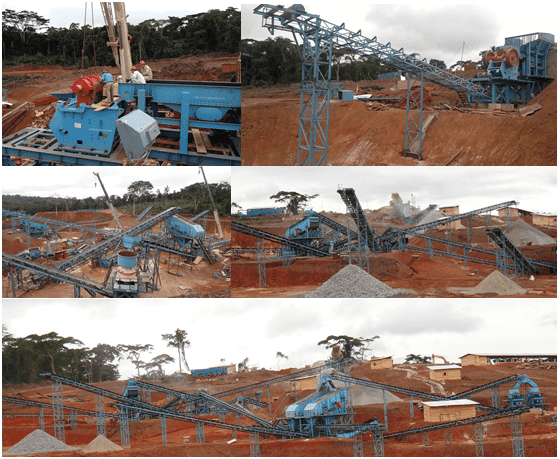 This project is situated in Cameroon, South Africa, mainly produces dam materials, and also produces a small amount of concrete aggregates. The production technology and all equipments, modular structure parts, belt conveyor and control system are designed, manufactured, installed and tested by our company. The system adopts partial modular steel structure parts, which is convenient and quick for installation, with short installation period and high efficiency, saving floor space. The PLC automatically control system ensures the safe and high efficiency running of the production line. Next Article: What are the Precautions for the Inspection of the Roll Crusher?